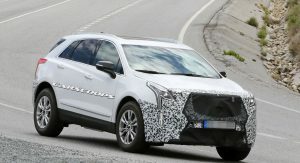 Cadillac continues the development of the 2020 XT5, with a camouflaged test car now being spotted in Europe. 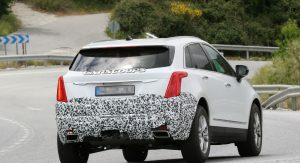 The mid-life facelift will bring the Cadillac XT5 in line with the rest of the models, including the newly revealed XT4. 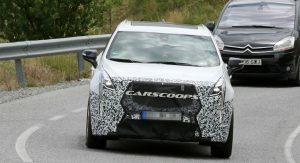 Just like before, the test car has its front and rear ends covered pointing at the areas where the design changes will take place. 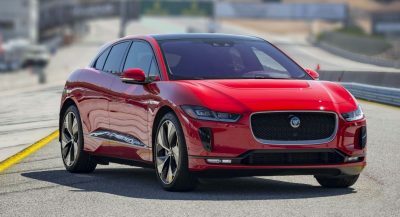 These changes will be inspired by the Escala concept and will include a redesigned front grille along with revised bumpers and new graphics for the lights all around. 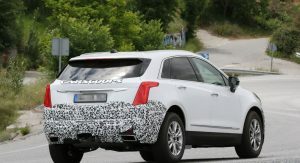 Changes in the interior will include the addition of the brand’s new infotainment system that now features improved voice recognition and NFC connectivity. 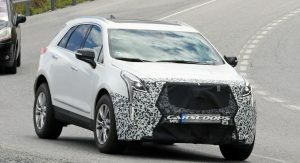 Cadillac’s mid-size SUV is also expected to gain a new entry-level version powered by a turbocharged 2.0-liter petrol engine. 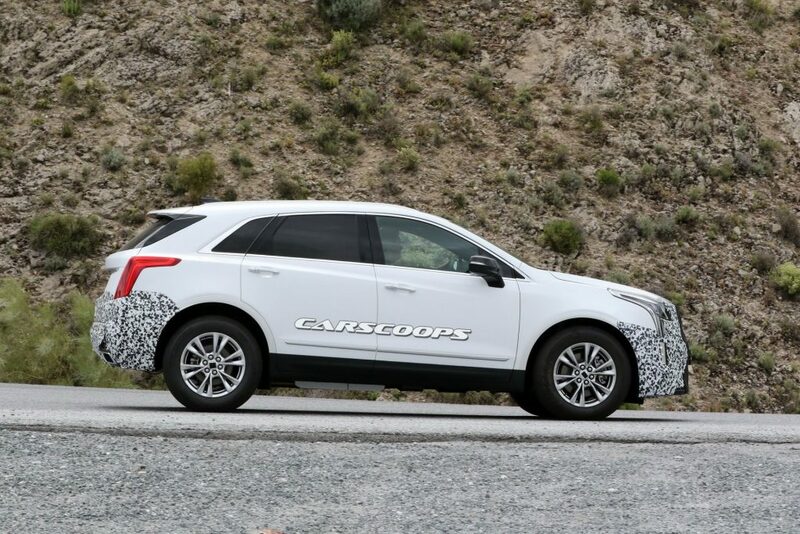 There are even some rumors that the company will add the hybrid powertrain that’s already available in China to the XT5’s range. 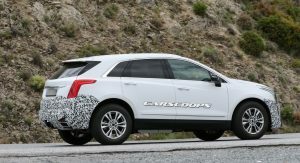 Demand remains strong for the XT5, which saw its sales rise by 10 percent compared to last year, making it easily Cadillac’s best-selling model around the world. 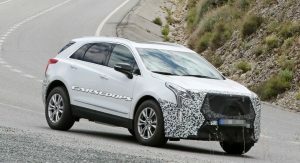 If everything goes according to the usual, Cadillac will reorganize the XT5’s range in the same fashion with the smaller XT4, meaning entry-level Luxury, Premium Luxury and Sport trim levels are along the way. 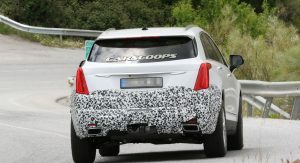 The mid-size SUV will also gain a few new or updated active safety and driver assistance systems. 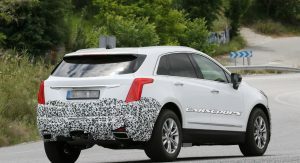 Cadillac has promised to offer its semi-autonomous Super Cruise system across its entire lineup by 2020, which means that the facelifted XT5 will also become able to sort of drive itself under supervision. 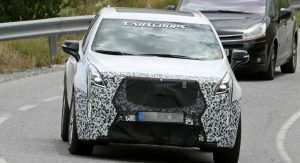 Expect Cadillac to reveal the facelifted XT5 sometime in 2019 as a 2020 model. Interesting that this is being tested in Europe. 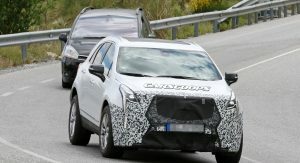 These engines are good if Cadillac are serious about selling cars outside of the US. This is especially important as they no longer own Opel, Vauxhall or Saab. Ignoring a continent, like Europe, which buys millions of cars every year is a bad idea. Thankfully it looks like they’ve seen sense. 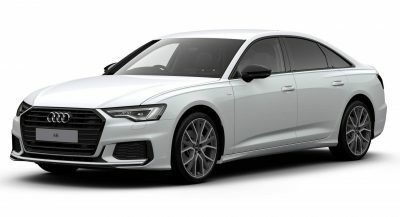 Is it me or does this look like a LWB version? Looks jacked up too. Almost as if it were a mule for a future model. See the frame and mid tunnel area showing so much? Just you, but pic 6 compared to 5 does look like a longer version. Cadillac sells a ton of these and rightly so. The darn things work and well. Super comfortable. 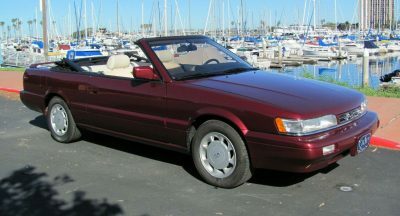 Well-crafted interior that blows away the Euro and Japanese models for the price…Homerun success. 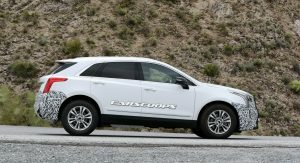 For 2017, the XT5 was the 2nd best selling luxury model in the US (after the Lexus RX). There’e a reason GM added a 3rd shift.